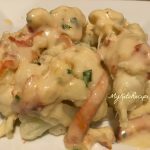 Low Carb Lobster Alfredo is a rich and creamy dish that is so delicious! Perfect for a special low carb, keto friendly meal! 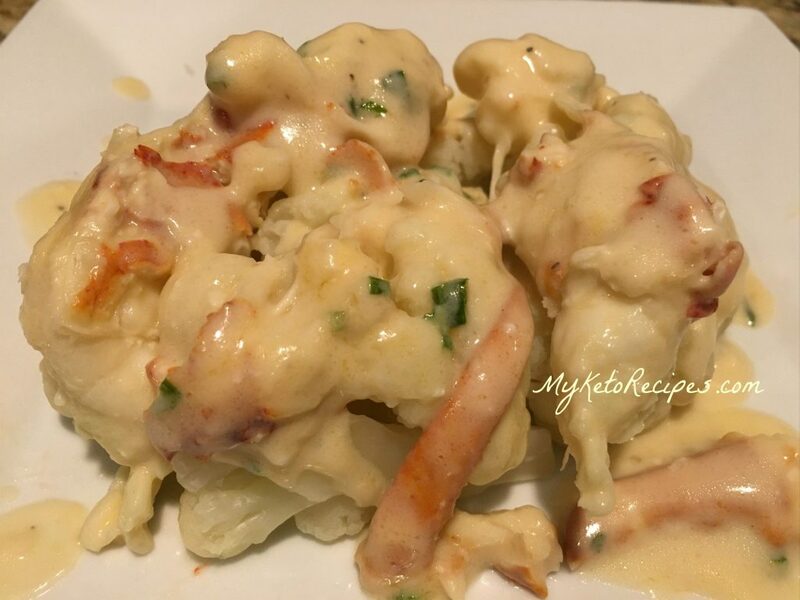 If you love lobster and alfredo you will love this low carb version. It is so rich and flavorful! I used fresh lobster for this and actually incorporated the juice from the fresh lobster into the recipe. This adds a lot of amazing flavor! You can also make this with canned or frozen lobster meat but you won’t have that fresh juice to add. Thats ok. You can use both frozen meat and cauliflower in this which makes the dish very easy to make! This dish is pure heaven! Would be perfect for a special Valentine’s Dinner if you are following a ketogenic diet! See more info about -> KETO/OS! Add butter, juice from lobster and cream to pan. Cook for 2-4 minutes on medium until it thickens. Add Alfredo sauce, lobster meat, lemon juice, and season with salt and pepper. Simmer 3 minutes on low. Add chives. Top over steamed cut up cauliflower. Is there an option to use something else instead of cauliflower? Are you doing low carb or Keto? Do you have the Alfredo Sauce recipe? What is the total carbs per serving?